Dr. Goldstein is a top spine surgeon who has been repeatedly recognized by his peers as one of the Best Doctors in New York and as one of America's Top Doctors. 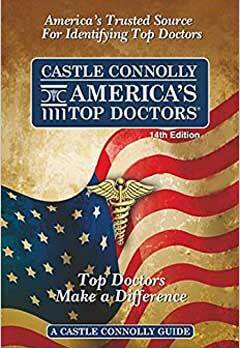 For the 11th consecutive year, peer review by Castle Connoly Publications has resulted in Dr. Goldstein being honored as one of the top doctors in America. We're pleased to announce that New York Magazine has once again selected Dr. Goldstein as one of New York's Best in their 2018 Annual "Best Doctors" Edition.. In 2018, Dr. Goldstein has been selected for inclusion in the 2018 Edition of Top Doctors in America.. This marks the 10th time that Dr. Goldstein has been so honored. In 2018, Dr. Goldstein has been selected again for inclusion in the 2018 Edition of Top Doctors in New York Metro. This marks the 15th consecutive selection of Dr. Goldstein. 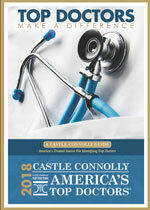 Dr. Goldstein has been honored again by inclusion in both the newstand and book version of Top Doctors in America. This unique honor recognizes the very best as selected by their peers. In 2017, Dr. Goldstein has been selected again for inclusion in the 2017 Edition of Top Doctors in New York Metro. This marks the 14th consecutive selection of Dr. Goldstein. Dr. Goldstein has been selected again for inclusion in the 2017 Edition of Top Doctors in America. This unique honor recognizes the very best of medicine in the United States. We're proud to announce that Dr. Goldstein was selected again for inclusion in the 2016 Edition of Top Doctors in America. This unique honor recognizes the very best of medicine in the United States. 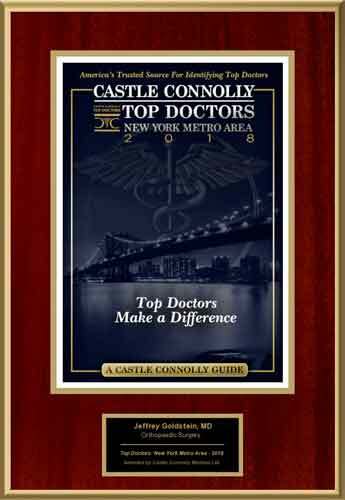 May 1, 2016: Dr. Goldstein received special recognition for 15 years of inclusion in the Castle Connoly Top Doctors in Metro New York. 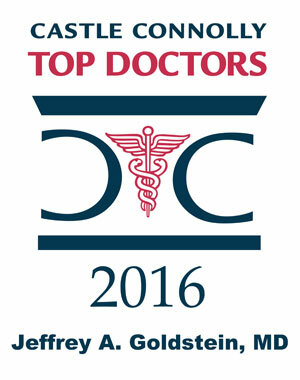 Feb 1, 2016: Dr. Goldstein was honored again in the 2016 Edition of Top Doctors in Metro NYC. For seven consecutive years Dr. Goldstein has been honored in the New York Magazine Top Doctors Issue. 2016 America's Top Doctors. 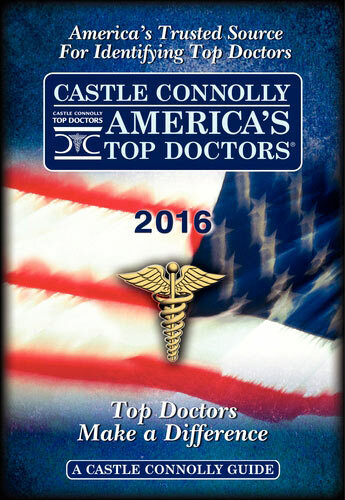 We are pleased to announce that Dr. Goldstein has been once again recognized by Castle Connoly as one of the physicians in this elite group, which is selected exclusively by other physicians. 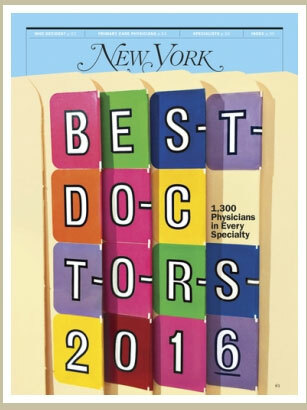 New York Magazine Top Doctors Issue recognizes Dr. Goldstein for the 6th consecutive year. 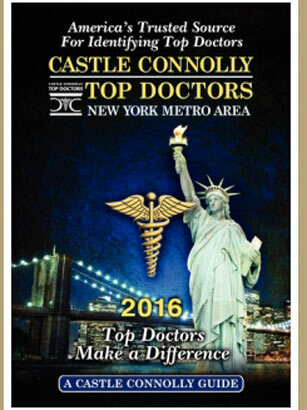 2015 We are pleased to announce that Dr. Goldstein is again recognized by Castle Connoly as one of the top doctors in New York. .
Dr. Goldstein has again been honored by inclusion in the 14th Edition of America's Top Doctors. Nomination and selection is strictly by medical professionals. Fewer than 1% of America's physicians have been selected for inclusion as a Top Doctor. Once again, Dr. Goldstein has been honored by inclusion in New York Magazine's annual Best Doctors issue for 2014. Visit New York Magazine online to read the full article. For the 5th consecutive year, Dr. Goldstein has been selected for inclusion in America's Top Doctors. He will appear in the 13th Annual Edition for 2014. 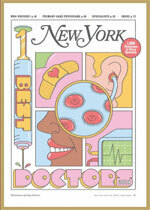 We're pleased to announce that Dr. Goldstein has again been recognized in New York Magazine's annual "New York's Best Doctors" issue for 2013. Selection for this honor is by peer review. All honored physicians are nominated by, and voted on, exclusively by other practicing physicians. We are pleased to announce that for the 4th consecutive year, Dr. Goldstein has been selected for inclusion in America's Top Doctors. He will appear in the 12th Annual Edition for 2013. Publication is scheduled for December of 2012. For 2012, Dr. Goldstein has again been recognized in New York Magazine's annual "New York's Best Doctors" issue. Dr. Goldstein is grateful for the recognition of his peers. For the third consecutive year, Dr. Goldstein has been selected as one of America's Top Doctors. Learn more at Castle Connolly. For the eleventh consecutive year, Dr. Goldstein has been selected as one of the Top Doctors in the New York Metro area. Dr. Goldstein was selected as by leading medical website Becker's Spine Review as one of 15 Spine Surgeons Recognized for Research. These 15 top surgeons important research papers and results that was recognized by professional associations over the past year. New York Magazine's 2011 annual selection of the Best Doctors in the New York Metro area. Outstanding doctors are chosen by their peers. 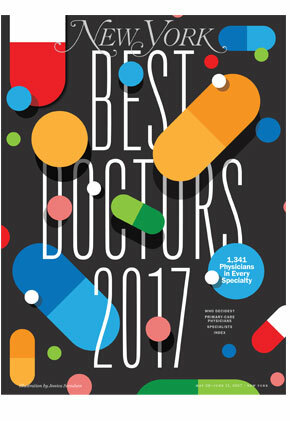 Super Doctors identifies top doctors as selected by their peers and the independent research of Key Professional Media. 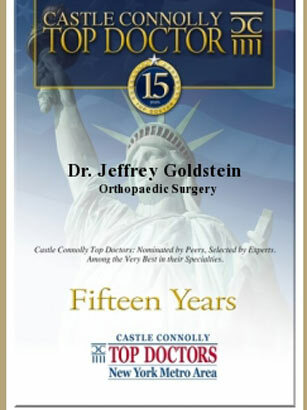 Dr. Goldstein has been selected four consecutive years. Dr. Goldstein has been recognized as a top orthopedist by the Consumers Research Council of America. Becker's Review is the largest and best known publication about orthopedic, spine & pain management. In this March 7th article, they identified Dr. Goldstein as one of 207 Spine Surgeons & Specialists to Know.